"Over 15 percent of college students struggle with depression." It’s the third day that I’ve been wearing the same stained, crumpled shirt. The rest of my clothes lie in piles on the floor beside small stacks of crusty cafeteria plates and an old Dominos pizza box. My hair is wild and greasy. It pairs well with my mangy beard. My room was a prison cell, and my mind an abusive prison guard: I’m not good enough. No one loves me. I hate myself. 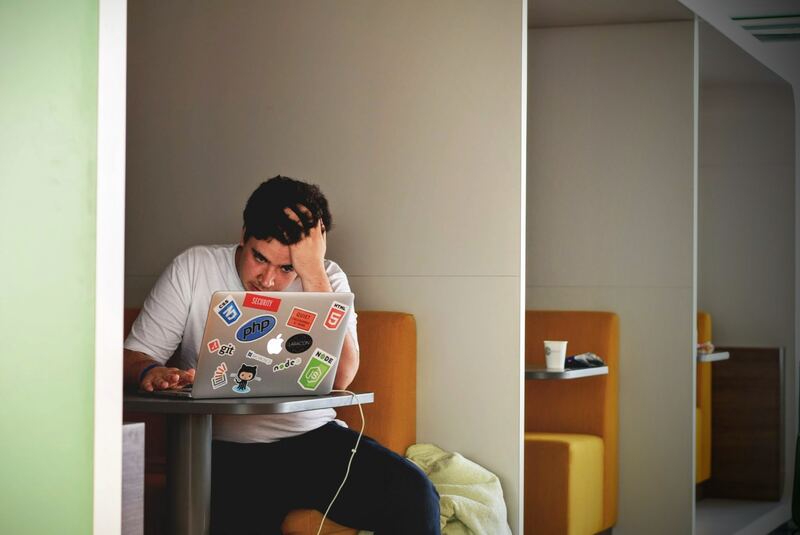 A new semester is about to start and while there are many useful depression resources online, few provide concrete and practical advice specifically for college students trying to juggle the academic demands of school while dealing with depression. It’s important to note that this is not a medical road map for how to beat depression (google “evidence-based depression therapies” if that’s what you’re looking for). Instead, these five pieces of advice are things that I wish I’d known when I was a depressed college student struggling to stay afloat in school. 1) Reset Expectations. Growing up, Mama Savage was the fiercest tiger mom on the block. She used to say, “A is for Always. B is for Bad. C is for Can’t Eat Tonight.” In elementary school when we got less than a C on an assignment, our teacher demanded that we get the assignment signed by our parents to make sure they saw it. My mom would take those assignments, rip them in half, and make me Scotch tape them back together before signing them. With her loving expectations — and hawkish guidance — I ended up doing pretty well in school. But then I experienced my first bout of major depression. I was in college, and as a result of my illness, I barely showed up to class, didn’t turn assignments in, and started failing my courses. I failed my first quarter with depression, but convinced myself that I would bounce back and loaded up the next one with just as many difficult classes. Two weeks passed. I skipped one class. Then two. I got behind, then decided it would be better for me to skip more classes so that I could stay in my room and catch up. Catch up time meant me staring into empty Word documents as I struggled to reign in scattered threads of concentration — threads that often converged into panic attacks. Catch up time became synonymous with afternoon nap time, a period from 2pm to 5:30pm that served as a temporary escape from my life’s demands. I can’t do this. I can’t do anything. I need to get out. I’m going to sleep. My mind and body had changed, but my expectations for myself had stayed the same. I struggled with comparing my depressed self against who I was and what I was able to do before I was depressed. 2) Lighten the load. Despite warnings from my friends and academic advisor, I convinced myself quarter after quarter that I could handle heavy academic workloads while dealing with major depression. I would sit in my academic advisor’s office at the beginning of each quarter and promise her that things would be different this time. In my mind, I wasn’t lying to her. Despite every indication that I was still struggling — classes I failed less than three weeks ago, my inability to get out of bed on a consistent basis, the empty Oreo sleeves that accompanied hours of Netflix shows that I binge watched — I convinced myself each quarter that I would do well and that all of my problems would somehow disappear. A few weeks would pass by, my depression would overwhelm me, my classes would fall by the wayside, and I’d finish off worse than when I had started. Self-esteem, confidence, and functionality need to be nurtured back over time, and we need to make it easier for ourselves to achieve gradual but long-lasting change. Taking an easier academic course load when I first started struggling with depression would have allowed me to focus on learning how to be happy and healthy on my college campus instead of stretching myself too thin and adding more stress to my life. Doing well on a small number of classes and prioritizing my mental health would have been more important for my sense of self-worth, my overall college experience, and my larger process of recovery. My school has an Office of Accessible Education (OAE) that provides academic and residential accommodations for students with disabilities. At first, I avoided the OAE. It might sound irrational, but accepting special academic accommodations felt like some form of cheating. I felt guilty and ashamed for having them. At the time, I couldn’t justify using academic crutches when other students could do the same work without needing extra help. It took me a long time to fully metabolize the fact that those other students weren’t depressed: they didn’t need extra help because they weren’t struggling with constant fatigue, an inability to concentrate, and recurring thoughts of death. Signing up with the OAE was one of the most important steps in helping me manage my academics with my depression. I remember walking into my disability advisor’s office for the first time, afraid that she would judge me and question whether I was actually sick. I felt a weight lifted off my chest when my fears were met with warmth, understanding, and acceptance. The OAE helped me arrange academic accommodations that kept me afloat. They introduced me to the Schwab Learning Center where I worked with an amazing learning specialist who helped me rebuild healthy academic habits — breaking down tasks into smaller actionable units, using effective scheduling techniques, and practicing priority mapping. He also provided tremendous care and emotional support during one of my thickest bouts of depression. During one appointment, as I sat in his office crying and overwhelmed by the spinning world in my head, he simply looked me in the eye and said, “Hey, I believe in you.” It might sound corny, but in that moment, having someone believe in me when I couldn’t believe in myself meant everything to me. I recognize that I was lucky to attend a university that offers these services, but many schools offer resources and accommodations for students dealing with depression. I wasted so much time trying to hack at depressed college life on my own only to learn that there’s nothing wrong with accepting help. 4) Communicate with your teachers. Teachers are human. Most of them understand that in addition to balancing critical analyses of The Bell Jar, supply and demand curves, and C++ syntax, we’re also balancing everything else going on in our lives. Teachers and TA’s want their students to succeed and tend to be very understanding of people who are struggling with depression. Some of them might even have experience with it so they can relate. I learned to always meet with my teachers and TA’s at the beginning of the quarter to let them know that I was struggling with depression. I let them know that there might be a stretch when my depression really flares up, and I might have a hard time keeping up with class. This way when the time came, they knew that I wasn’t bad student. They knew I wasn’t disinterested in the class. They knew I was just depressed and knowing this allowed them to support me. At first, it was hard for me to open up and ask for help, but eventually I took the guilt and shame from tip three, threw it in a red solo cup and just chugged it. 5) Know when to take time off from school. Sometimes the best thing to do for our own mental and physical health is to take time away from school. It might seem like an impossible proposition, a path filled with scary questions about what we’re going to do when we’re back at home and all of the things that we might be leaving behind. It sounds like a totally nuclear option. These were some of the thoughts that were running through my head when I considered stepping away from school for a bit. I did not take a quarter off, but I wish I did. College is a special time and it moves so quickly. At school, we have the opportunity to meet so many amazing people, to immerse ourselves in classes that blow us away, and to experience things that can alter our life’s journey in the most surprising and fulfilling ways. There is this terribly prevalent idea among students that we need to graduate on time and complete all of our quarters one after the other. No one tells us this: that idea is wrong. Taking a quarter off, a year even, to dedicate 100% of our energy to getting healthy is an investment that will allow us to reap the benefits of being happy and fully present for the rest of our college experience. College is amazing and a lot of people regret not being to take full advantage of it. For any questions, feel free to email me at [email protected] If you enjoyed what you read, be sure to share it among people who might find it helpful. Max Savage is the co-founder and CEO of Atlas Mental Health, a collaborative depression treatment platform that brings together doctors, patients, best friends and family members to improve the quality of coordinated care in mental illness.